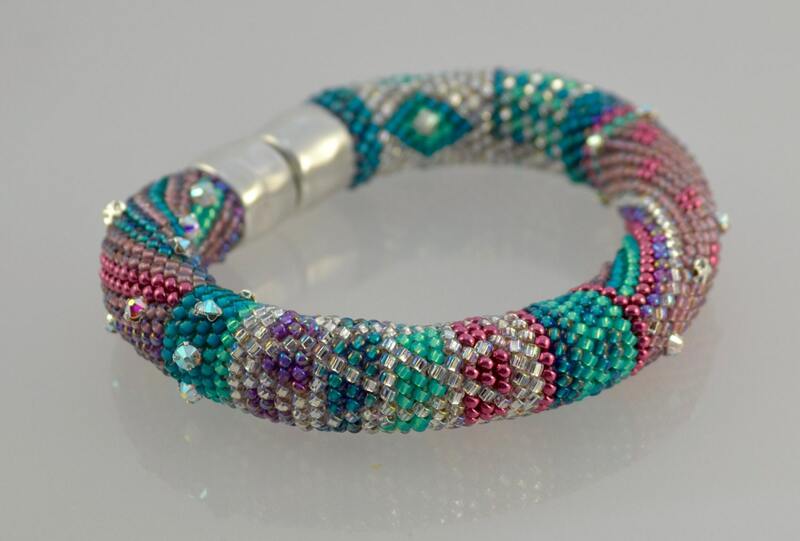 Single Stitch Bead Crochet Bracelet Kit & Pattern, "Beginnings" - Teal, Seafoam, crystal and Pink with AB crystals. 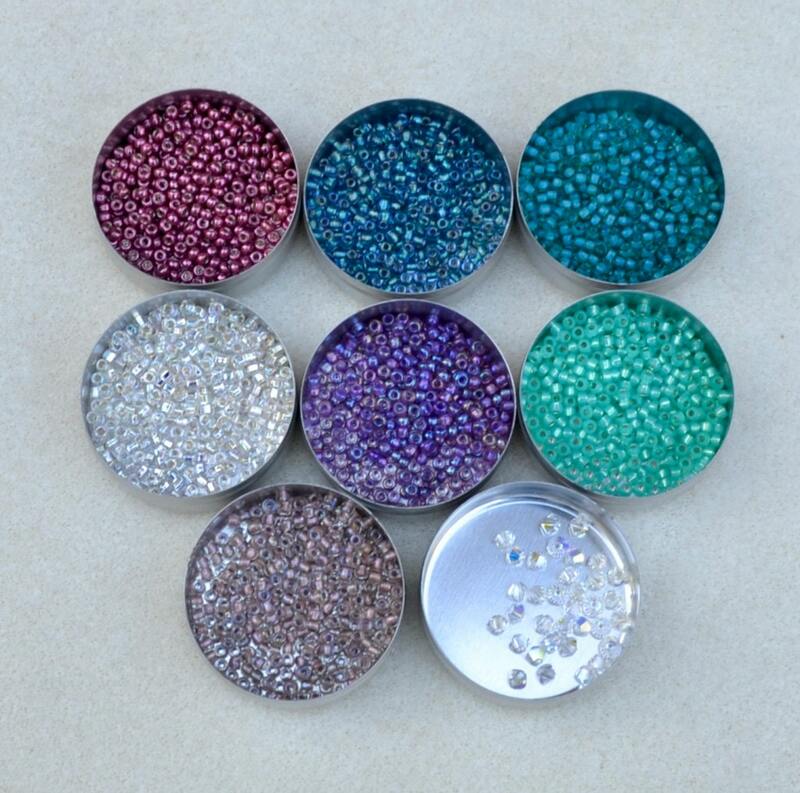 Beautiful, cool and shiny colors, with some added bling and a supple feel. This kit includes: 38 grams of size 11/0 japanese seed beads, 3 mm Swarovski crystals, high quality 100% cotton crochet thread, cotton bolo cording and heavy duty 10mm magnetic barrel closure. Please see the 2nd picture above for kit color way. 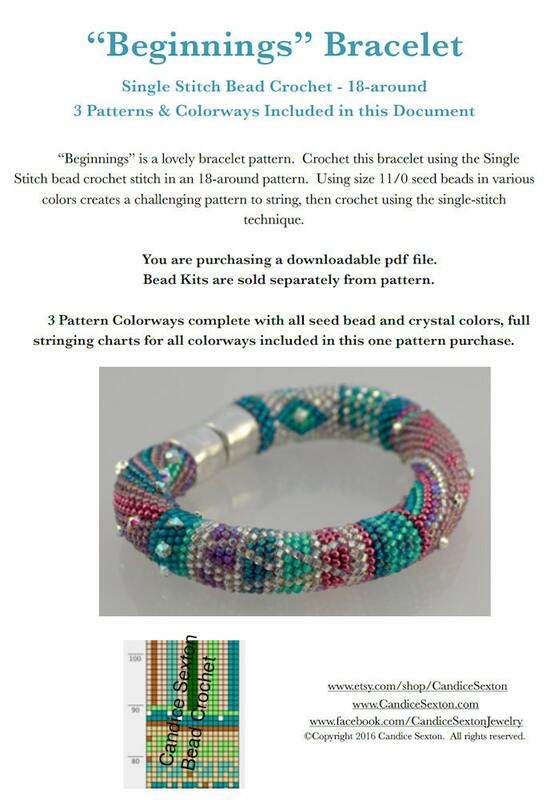 Pattern and Workshop instructions are included with this listing and will be sent to you as a separate pdf file. Please request a hard copy at time of purchase if that is your preference. 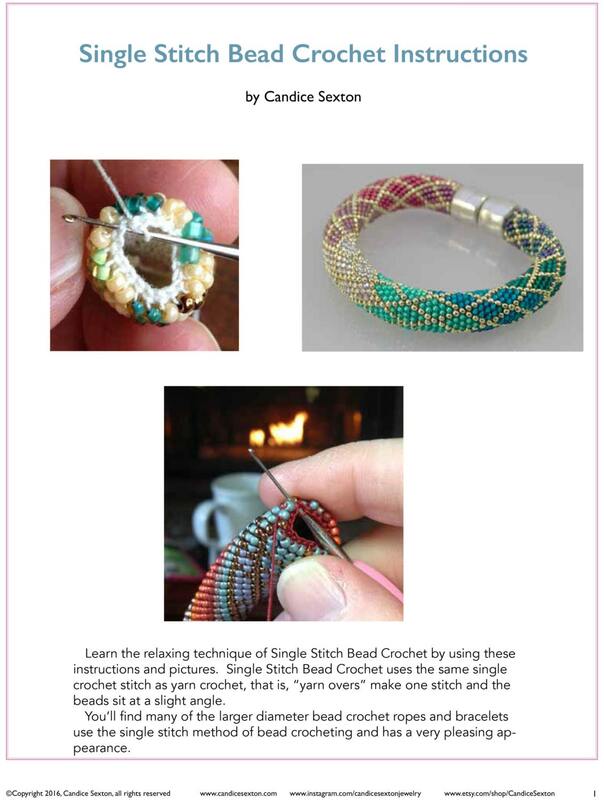 ***NEW*** The Single Bead Crochet Stitch technique "Workshop" instructions is included in this listing!